As it turns out, there's never been a better time to upgrade your home with brand-new blinds, shades, or drapes. Everyone loves summer for its long, relaxing days and the prospect of endless fun. But if you’re torn between lazing around on a lawn chair and taking on a home decorating project, know this: There’s no better time to swap out old window treatments than right now. The reasons might surprise you, so read on to find out why and benefit from helpful shopping tips courtesy of Blindsgalore, a leading supplier of custom-made window coverings. If you act quickly, you can save money, stay cool, and still wind up with window designs that really wow! Old window treatments are glaringly obvious in the bright light of summer. In darker, colder months, it’s easy to overlook shabby shades, busted blinds, or other worse-for-wear window treatments, but not during the long, sunny days of summer! In the bright sunshine of those extended daylight hours, you’re bound to notice faded, yellowed, or discolored materials; bent or warped slats; and frayed fabric or cords. If you see these defects, so will your summertime houseguests. Replacing tired window treatments can polish the look of an entire room. As an added benefit, with your home’s interior all spruced up, you won’t feel compelled to quickly shoo friends and family away from the air conditioning or out onto the patio. Keeping energy costs down is crucial. When the heat is on, quality window treatments help reduce your cooling bills by reining in the amount of heat transfer through the glass panes. 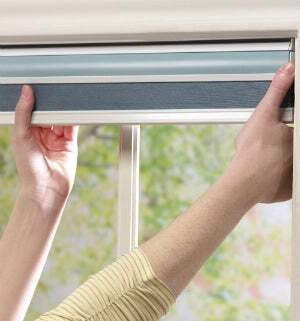 (Window treatments also help ensure a warmer home in winter by preventing heat from escaping.) At Blindsgalore, you’ll find the ideal option for all your windows, no matter their size or shape. 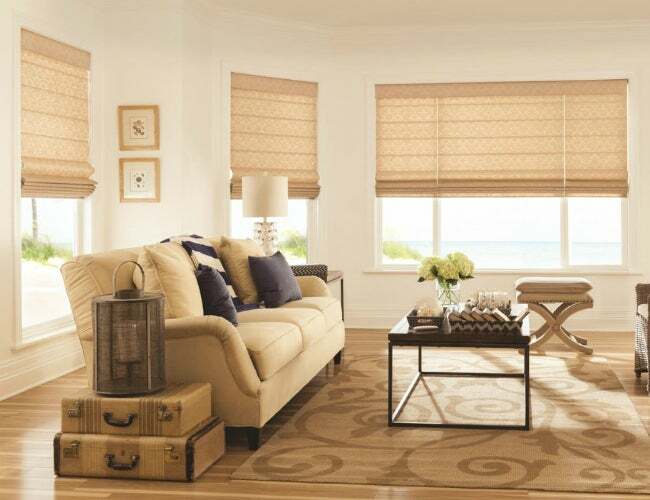 Consider energy-efficient cellular shades, which help maintain comfortable temperatures thanks to their unique honeycomb shape that traps air between the pane and the room. Or perhaps your best bet will be sun-blocking solar shades that prevent damaging UV rays and distracting glare from entering without obscuring the view of the outdoors. You’ll get big impact for less effort. Summertime and the living is supposed to be easy, so no one wants to stress or sweat over complicated projects. Fortunately, replacing window treatments can be super simple, thanks to the installation guides, step-by-step instructional videos, and customer service pros on call at Blindsgalore. DIY novices, take note: The company’s Simplefit Pop-in Shades make the job even easier, with a no-tools-required installation. The effortless push, peel, pop, and lock process means you’ll have great-looking, hardworking shades installed in a matter of seconds. Long days and balmy nights mean lots of time spent outdoors, and that can translate into more people peeking into your home. While those people may simply be curious neighbors enjoying a leisurely stroll, crime statistics show that the highest percentage of burglaries occur during the summer, so the last thing you want is to put your valuables on view to possible intruders. While Blindsgalore offers a large selection of opaque privacy blinds that prevent view-through, even when backlit, less sophisticated treatments can also offer adequate privacy. Whatever you choose, rest assured that you’ll be able to keep your home the sanctuary it was meant to be and feel safer this summer. You probably already know about summer steals on garden equipment, school supplies, and bathing suits, but you may be surprised to learn that this season is also the best time to save money on window treatments. For example, Blindsgalore’s blowout Fourth of July sale is one of their biggest sales of the year, offering incredible savings up to 50 percent! So buy now, install simply, and enjoy the beauty and function of new window treatments this summer and beyond. This content has been brought to you by Blindsgalore. Its facts and opinions are those of BobVila.com.